When our ancient ancestors in the Fertile Crescent mistakenly fermented their grapes into wine more than 7,000 years ago, little did they know that this fruit-based alcoholic beverage would bring inebriated joy to billions of people over the course of millennia. 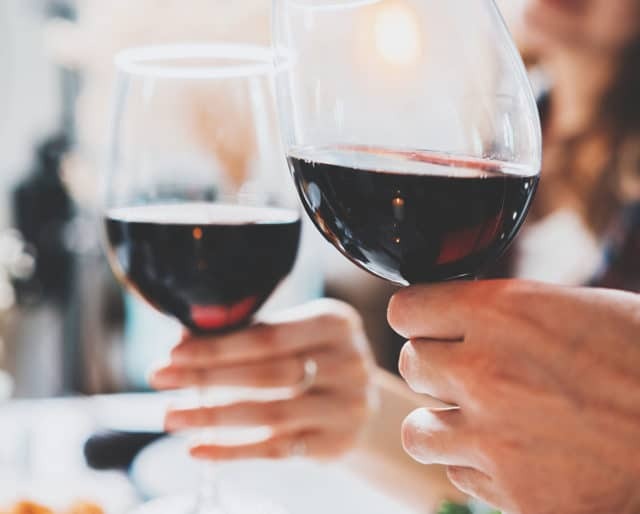 Whether you prefer white, red, or rose, on May 25 we get out our corkscrews and let the vino flow to celebrate National Wine Day. If you love wine, "Go wine tasting" should be on your bucket list. But you don't have to live in California to sip wine to your heart's content. America's unique landscapes yield a variety of delicious wines—you can find some of the country's best vineyards in states as diverse as Missouri, Idaho, Texas, Washington, Virginia, Oregon, and New York. If you do plan to go wine tasting on National Wine Day, don't forget to bring along a designated driver! Wine and food pairings are an art and science with countless variations. Try drinking a glass of wine with each meal (including breakfast! )—the secret is to select a wine that will enhance the flavor of your meal. Enjoy a sparkling rose with your eggs and bacon at breakfast, sip an ice cold Chardonnay with your Caesar salad at lunch, wash your steak down with a glass of Merlot at dinner, and top it all off with a glass of Port and chocolate cake for dessert! Anybody can drink wine—but can you cook with it? In honor of National Wine Day, try adding a dash of Merlot to your red pasta sauce or a splash of Chardonnay to your scallops. Don't be afraid to get creative—and don't forget to pour yourself a glass of wine to accompany your culinary masterpiece. Each bottle of wine tells a unique story. If you close your eyes, wine's aromas and flavors can transport you to faraway lands, giving you hints about the soil and weather the grapes grew in, the landscape of the country the wine originated in, and what was happening in the world at the time the wine was bottled. The best part? You don't even have to get on a plane to travel the world! No matter what your Friday night plans are—chilling in front of the TV with your cat or bar-hopping with friends—wine is the perfect companion. And no matter how much wine you drink, you always look classy doing it!